When Bonnie J. Miller-McLemore put on a clerical collar in 1977 — her senior year in college — and began working as a hospital chaplain she learned something the classroom didn’t teach. Physical actions mattered. 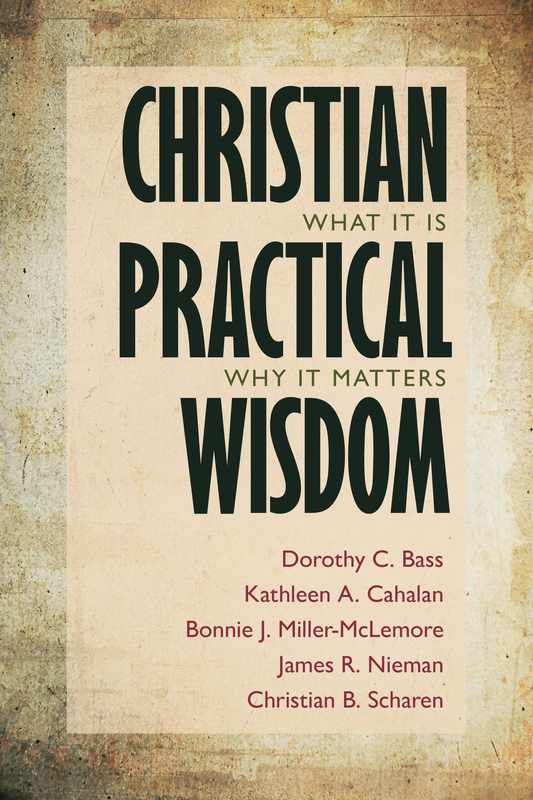 The book, co-authored by five scholars, explains what Christian practical wisdom is, why it’s often neglected and how it can be restored. The 360-page book was published in May by WM. B. Eerdmans Publishing Co.
That’s practical wisdom, she said. It becomes Christian practical wisdom when it’s born out of a relationship with God. The book explains that Christians with practical wisdom, “know their way around their neighborhoods not by map but as resident walkers who rely on body knowledge and all their senses. There, empowered by the Spirit, and joined in community with others, they discern a path that leads toward and offers foretastes of God’s new creation along the way,” the book reads. Miller-McLemore, E. Rhodes and Leona B. Carpenter Professor of Religion, Psychology and Culture at Vanderbilt University, starts the book with her chapter, “Spooning,” which is about body wisdom and compassion in pastoral care. In the first half of the text each author writes a personal story that illustrates Christian practical wisdom. The second half to the book further explains the concept, explained Bass. The authors hope the book will be used in seminaries and will also influence faith leaders to explore and begin practicing Christian practical wisdom. Miller-McLemore explained that in the academy theology is often about theories and reasoning, which she said is important, but can sometimes be far removed from daily life. “Practical knowledge is always changing. It has to be lived out, learned and practiced,” she said. Christian B. Scharen, vice president of applied research at Auburn Theological Seminary, New York, wrote a chapter about practical wisdom in pop culture. He writes about experiencing rock concerts as “holy ground” and says for many artists, their work is their calling. “They are driven to create, to give their talent away for the sake of the life of the world,” he writes. “Practical judgment helps see what is soul food, what is ear candy, and what is not worth eating at all,” he writes. Scharen explained that he and his colleagues didn’t intend to write a book together. The idea came after they began exploring questions after “For Life Abundant: Practical Theology, Theological Education, and Christian Ministry” was published in 2008, which several of the “Christian Practical Wisdom” authors contributed in writing. Scharen said the group began exploring questions about practical wisdom together, and discovered the answers together, which lead to the book. James R. Nieman, president of the Lutheran School of Theology at Chicago, said he hopes the book brings readers to a deeper sense of awareness. He writes about communal wisdom and how congregations have the ability to know something directly. The book also touches on wisdom in everyday life, biblical imagination, epistemology and many other pragmatic ways Christian wisdom has been, and can be applied. The cost of the book is $30 and can be purchased online.